Not sure but thought this might be Husky. While I am here could anyone ID this tree please. It appears to have multiple trunk which intertwine as they grow. 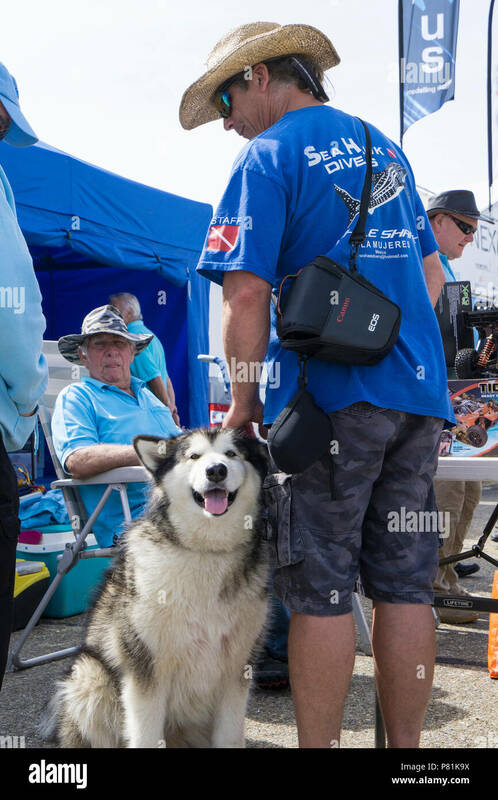 Janet is right, it is an Alaskan Malamute. They are bigger and heavier than the Siberian Husky. Thank you very much Janet and Jill your replies are much appreciated. Now if anyone can identify the tree I will have a full set. Could be wrong but the tree looks like an old clematis. Could be Old Mans Beard / Clematis growing up an Oak tree, but just speculating - not an expert. There are some Carolina Oaks that grow like that. Thank you for your input. I will investigate all three soon. Can't help with that one, Allan. Not without seeing the leaves in greater detail. Thank you and yes I normally do what you are suggesting but there is so much intertwined in there it is difficult to sort the chaff from the wheat. Thanks John. It looks like I am going to have to go back and get my hands dirty sorting out which leaves go with the tree. If no one can give an ID, I wonder how much value it has as a stock photo. Is there a market for people doing articles about unidentified things or how not to take pictures of something you want to identify? Then again it is said that anything and everything can sell on Alamy. I'm from Louisiana and I see this particular tree a lot. 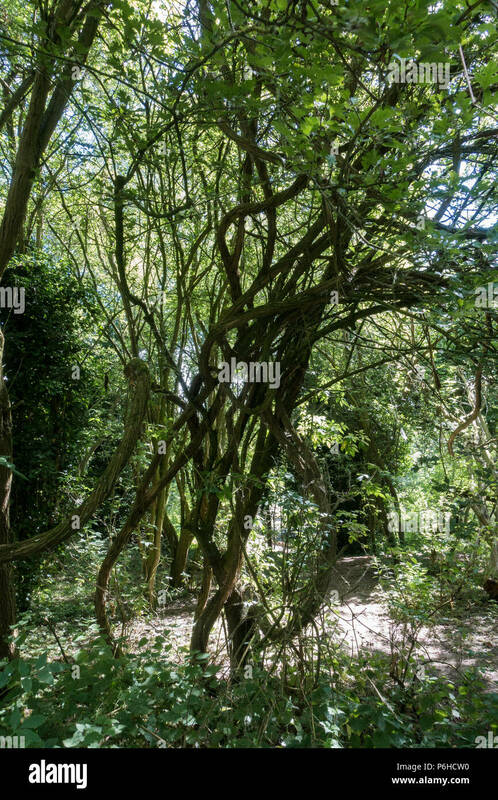 Sometimes, it is an overgrown poison oak vine but this looks familiar. If you have access to that location again, get closer shots of that tree for better photos. Shallow depth of field really makes this plant shine! Found it! The type of tree it is in the above images. It is a Ficus carica or Common fig. Adriatic form that does not require fertilising by a wasp that cannot survive our climate, yet. Another name is Brown turkey.